Times negotiated for larger functions. cost Prices are available on our booking sheets available to download off our website. Amazing venue, awesome friendly staff! Loads of fun entertainment for the kidz of all ages. Suitable for birthday parties, baby showers, corporate fun days, year end functions, corporate charity events, nursery school graduations, family reunion, farewell parties you name it we can do it. 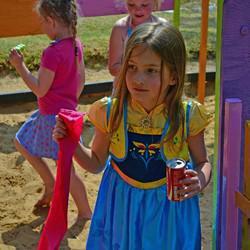 Kidzville offers hassle free, cost effective parties and the most fun you’ll ever have! 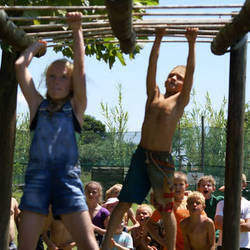 We have 3 exclusive use party venues each suitable for different age groups. 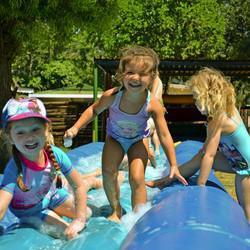 Each Party Venue is self-sufficient with a large Lapa area and built in braai which doubles as a fireplace in Winter, own toilets, fenced and gated play area and plenty of safe secure parking, loads of shade and grassed areas. Our party venues are safe, secure, neat, clean and well maintained and our staff are efficient and friendly. 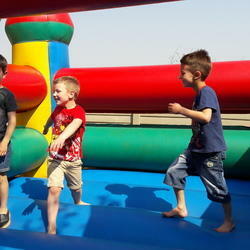 We offer organized activities included in the venue hire and each kids party venue is well equipped with loads of playground equipment suitable for a mix of ages. Our party venues are equipped with basic crockery, cutlery, snack bowls, tables, chairs and table cloths, all you need is to bring along your catering and theme items. The venues are decorated with balloons, garlands and drapes to match your colour scheme and the boot camp is a theme related venue and requires no decorating. Each venue does have an assistant to ensure you have a regular supply of clean cups, plates and glasses and to assist where necessary. No clean up on departure is necessary. Hi Beth we all had a super awesome time and will definitely recommend your venues to anyone. I have no words to describe how wonderful the whole party experience was, My son was delighted and enjoyed every minute, my phone has been buzzing since we left yesterday, all the little boys and their parents complimented everything, on all the photos are faces filled with joy. It is such a nice experience to deal with professional and friendly people that really contribute to making a success of a party, Please also thank Mary, Tiaan and Cole for us again, they were so helpful and entertaining before I knew the party was sent up and ready for everyone to enjoy. 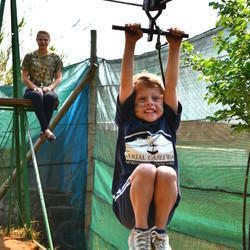 In James’s own words” Jissie Mamma, daai oom van die Army is awesome!, Tiaan and Cole were really helpful and encouraged the boys to participate and helped the ones that lack the skills to make sure that each one could enjoy the activities, I am sure that you will have many more bookings from people that attended yesterday. I have made some videos of the photos taken yesterday, If you want some pictures I am more than willing to share them with you. about. The kids had a blast and the parents could have a relaxing day. Thank u so much once again. Thank you very much for an awesome time! Everything was perfect and everybody enjoyed themselves. I can’t complain about anything, and having the 2 Facilitators made my life very easy  I actually had time to visit and relax with friends. Thank you so much for everything, our guests had a great time. The venue was gorgeous and catered to all of our needs, I can’t fault a thing so thank you for making my sons day extra special. I’ve attached some of our favourite pics from the party. Wow we had such a great experience on Saturday. The venue, your service and the overall feel of the day was just perfect! I would definitely recommend your party venue to as many people as possible. Thank you and your team so much for making Xandré's birthday party amazing. He says it's the best party he's ever had or been to. We will definitely use your venue for the next party! The party venue was an excellent choice for Ryan’s 21st beach party. The venue provided us with all our needs, a bar area, DJ area, food area, a big garden for the crowds to gather to smoke and chat, and clean toilet facilities. The drapes, table clothes, balloons and lanterns fitted in beautifully with the theme. The staff were extremely helpful and friendly. An awesome evening was had by all, thanks to you Beth!! What a lovely party venue. We thoroughly enjoyed the Island theme and decor. 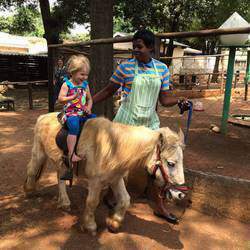 The activities for the kids (Pony rides, tractor and animal feeding) were amazing. All kids and moms enjoyed it. Thank you very much for a really special birthday party! Thank you very much for your warm and friendly hospitality. Will definitely use your venue again and again. Children had an awesome time! Thank you so much Beth for such an amazing and special party, my son and his friends enjoyed every minute and he asked to go back the following day. You guys work as such a good team and we were extremely happy with everything. Thank you so much! Venue is fantastic and it is every child and parent’s dream to have their parties there. Our guests was amazed and will definitely be calling on you for their future parties. Your staff is friendly and always willing to assist with anything. The catering companies that you have suggested is of great quality and I will definitely be using them in the future. Lots of positive comments from the guests. Thank you once again for an awesome party!! See you soon!! Daniel had so much fun and true to form, I really could just relax while the children were entertained…. Please extend my thanks and appreciation to Ashley too! It was wonderful! A job brilliantly done and service outstanding! Thank you! Comments and Suggestions: My daughter had the most amazing and fun filled party any two year old could have. 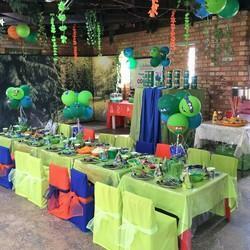 Most of the guests were very impressed with the facilities, cleanliness and friendliness of staff at Kidzville, so much so that one of my guests has since booked the venue for her child's party. Beth has been exceptional. She has delivered professional and swift service throughout the process and she was always accommodating to all my requests. 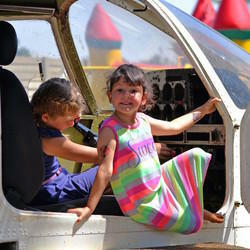 Thank you Kidzville - the kids and adults both had an absolute blast. We will be back. Thank you so very much for having us at the Bootcamp on Sunday. You said that it would be a party that Jesse would never forget. And you and your team made it just that. We all had an amazing day. Your staff were very efficient at their jobs and they were wonderful and caring with the children. The children thoroughly enjoyed the playtime, both structured and free play, and we could see your place was in great condition and well taken care of. Thank you for an amazing experience. I have liked your page on Facebook and recommended your facility to my friends. We hope to use your venue again in the future. Thank you so much for Saturday. It was an absolute blast. In Ethan's words "Best party ever!" Really appreciate all your help and for the use of your amazing venue. All services were +++5/5. Mary was amazing with how quickly she helped the little girl who got hurt, above and beyond my expectations. Thanks so much for a really special party,my guests and I were all truly impressed with your venue so well done. Was truly a pleasant time and will definitely recommend to people. And we're looking forward to having future functions at your venue. My suggestion is don’t change anything, it's perfect. This was an awesome experience, we will definitely be using the venue again!! Tiaan the Drill serge gets a 10 out of 10! Thank you very much for an awesome party! We will most definitely be back. Everything was just AWESOME! The kids and adults alike loved the party! The staff was very helpful – thanks guys! Everything was excellent – the venue, set up and the staff. The instructor really kept the kids going, and they had such a fun time. Many thanks for an awesome time, my son and his friends think it was the coolest ever. Thank you so much for you and your team for making the day so special! My daughter and her friends had a blast!! A special thanks to your team! We all enjoyed it very much and will be making use of your facilities in the future again. Thank you so much Beth, it was WONDERFUL. You were all so prepared and it was just perfect. You get a 5 for everything and your facilitator gets a 6 ;) because she was just awesome with the kids and helpful. She was available and very present. She is so sweet and polite, absolutely an angel. Thank you so much. Just a big thank you, we had a wonderful time, the children cried when they had to leave, and your staff is wonderful. We will definitely use your venue again, thank you! For once I had a stress free party, this mommy is a happy mommy.